The ability to tailor the system to our requirements and the openness in design to allow us to create a bespoke solution for our business and clients as they grow was one of the strongest selling points. Just as you are a unique individual, your company is unique in how it works compared to other companies. So if Troika’s market-focused systems are not quite right for you, then let us create one that is. By combining the core functions that you want, we can create a one-off tailor-made solution just for you. you can choose the modules that suit your business needs. It gives you all the power and ease of Troika’s core database, without the inconvenience of having modules that aren’t relevant to you. Its modules integrate seamlessly with each other so that data processes are performed only once, and all data can be accessed via both printed and web based reporting tools. Client Accounting lets you produce accounts with total flexibility in both presentation and content. It is designed to assist you in the production of all forms of complex accounts for your clients. It allows accounts to be generated for many different entities including trusts, estates, offshore companies and funds. Company Secretary offers you a fully integrated solution for statutory form production, share register maintenance and work flow management. It includes comprehensive registers for trusts, companies, partnerships and individuals. It gives you an extensive range of forms and reports for many jurisdictions including the Channel Islands and the Isle of Man. Fund Management is an essential module if you manage Collective Investment Schemes, Open Ended Investment Companies (OEICs), Unit Trusts, or International equivalents. It supports functions across a number of fund administration operations. It provides you with a single solution – reducing overheads and giving you more control over the level of service you provide to your clients. Private Banking is ideal for managing HNW individuals, including multiple investment portfolios, properties and client bank accounts. It will calculate and post bank interest on single or ”pooled” group accounts, dividends and other investment income. It can generate reports, valuations and statements. Probate Case Management is a powerful module for managing any estate. It collects important information about the deceased – including details of their assets and liabilities at the date of death. It assists with the preparation of the IHT forms and corrective affidavits and automatically prepares full estate accounts. Client and Investment Management will help you with the administration of back and middle office functions. It gives functions such as bulk dealing, settlement and income processing that will help you provide your clients with a high level of service as an investment manager. It automates capital events and all investment transactions generate full double entry accounting. Time & Billing provides you with multiple time capture options as standard. It comes with multiple rate structures that can be applied to any client. It can generate a range of charge calculations, including portfolio and management fees. Compliance and Risk Assessment offers the flexibility to define compliance records, and risk and client review processes. Its key features make use of information you have already recorded within Troika to allow you to reduce risk and costs associated with non-compliance. It assists with meeting your jurisdiction’s regulatory requirements. Customer Relationship Management provides you with a simple solution to manage complex customer relationships and ensures you provide the best possible service to your clients. It uses a single entity and client database that allows you to keep information up to date and access client details easily. It helps you keep track of task deadlines. 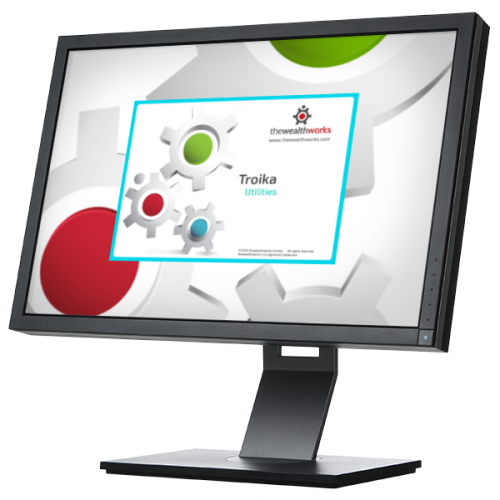 Management Reporting is a useful intranet option that makes data managed by the Troika system available to many users through a standard internet browser. It is easily customisable and can be integrated with your own company intranet. It allows you to control key activities within your organisation. Connect offers control over multiple access levels with easily configured security options via windows security.